JP@Home is a membership-based program of Ethos, a 44-year-old non-profit dedicated to promoting the health, independence, and dignity of older adults and persons with disabilities. The program is intended for middle income older adults who reside in Jamaica Plain, Roslindale, West Roxbury, Hyde Park, Mission Hill, Roxbury, and Brookline and want to age in place. Members subscribe to JP@Home to receive access to Ethos’ services at discounted rates and numerous social, health, and wellness activities. 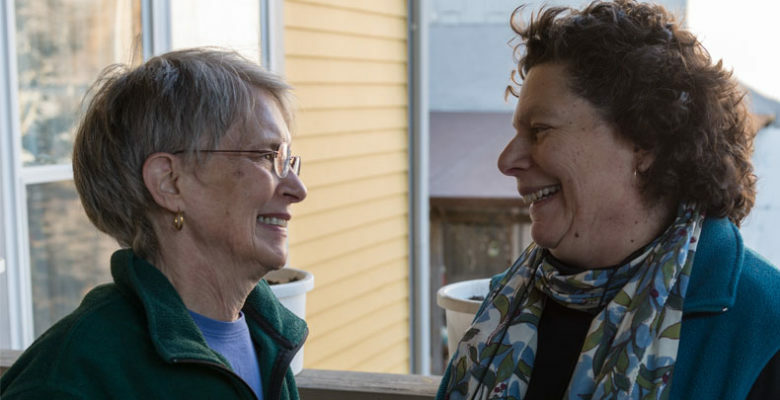 Jamaica Plain residents, partnering with Ethos, are creating JP@Home to keep JP women and men in their homes as long as possible through JP@Home social networks, information and services. From social events and programming to providing information and referrals to vetted or prescreened providers, JP@Home is here to provide services that help older adults live independently. The Village concept aims to “support the medical, functional, emotional, social, and spiritual needs of older adults.” Residents create Villages to help coordinate and deliver services and supports within their communities. Villages reflect their communities through variations in design, capacity, and operation. Many older adults join these Villages because of a desire to remain in their homes and not be dependent on family members and friends. Beacon Hill Village, established in Boston in 2001, is one of the most recognized models of the Village concept. What started as a group of residents who wanted to receive services and supports in their homes and communities has now evolved into a national movement. Currently, there are over 360 Village organizations across the United States in operation or development. Contact JP@Home at: jpathome@ethocare.org, 617-522-9042 or JP@Home c/o Ethos, 555 Amory Street, Jamaica Plain, MA 02130.